An anonymous NHL GM said that Dougie Hamilton wasn't well-liked by his Bruins teammates before being traded because he's a "loner" and "uppity." 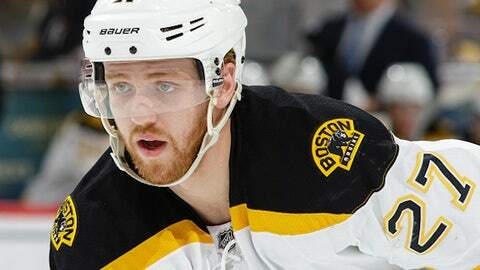 The Boston Bruins made a couple of surprising moves last week when they traded away fan favorite Milan Lucic and 22-year-old defenseman Dougie Hamilton. The latter was coming off an impressive season in which he showed an ability to move the puck and was effective on both ends of the ice. The Bruins, who were not in good shape with the salary cap, didn’t want to pay Hamilton what he was worth. The team initially said it would match any offer for the restricted free agent, but that plan went out the window. However, an anonymous NHL assistant general manager told Harris that Hamilton had some character issues. Ah, there it is. Bruins fans watch their team trade a player who is supposed to be the next big thing and receive relatively little in return, only to later hear that said player was becoming a problem off the ice. Where have we heard that before? Just ask this guy. If the Bruins thought highly of Hamilton as a player, they would have found a way to keep him. Instead, they obviously felt he wasn’t a player they could build around. That’s fine, but there’s no need for smearing.